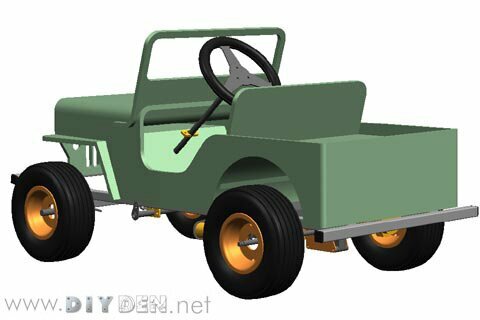 The Peep is a kids electric runabout with an electric motor and diff combination from a electric wheel chair or golf caddy. 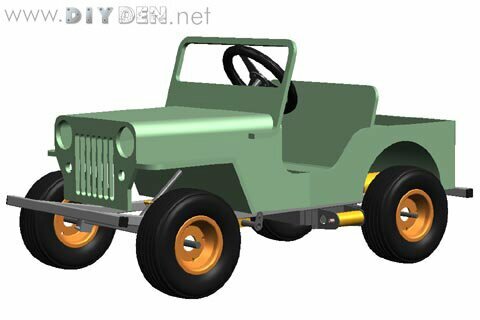 The chassis is based on a simplified yard dawg frame. Operation will be single pedal with brake being applied when foot is removed from the accelerator- hopefully providing fail safe motoring for the young-uns. Parents can purchase added protection if they wish. A kids bike helmet should work perfectly and provide enough safety for younger Peep operators... Why Peep? 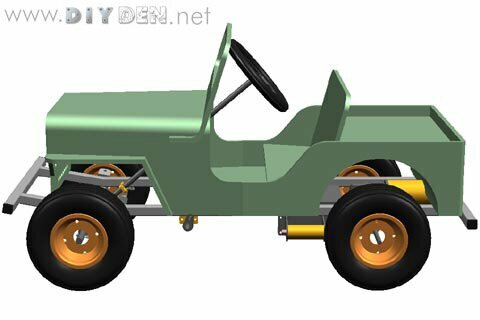 According to some the Jeep utility vehicle was originally called the Peep for unknown reasons.